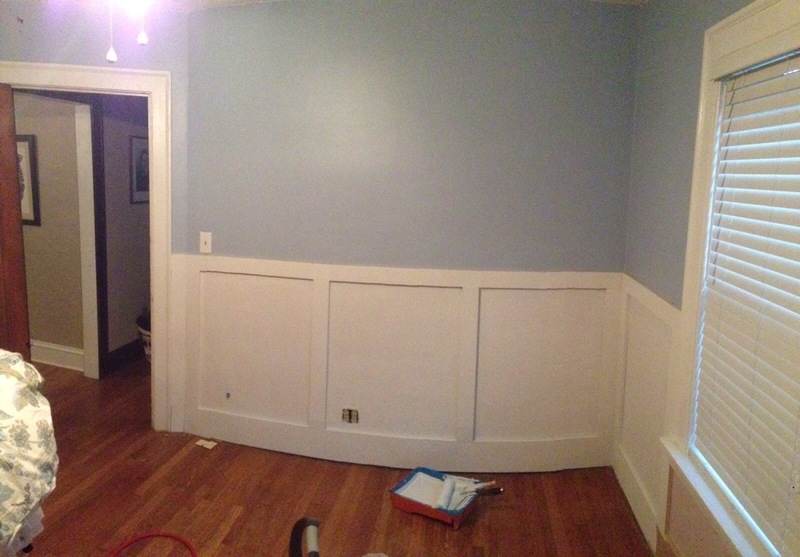 Now that the wainscoting is installed (See Stage 1 for that part of the project), it’s time to prime and paint. 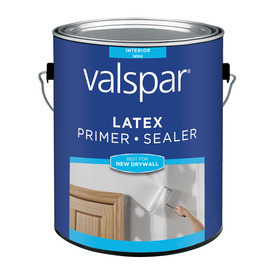 I made a quick run to Lowe’s and picked up 2 Gallons of Valspar Latex Primer and Sealer ($12.98/gallon). 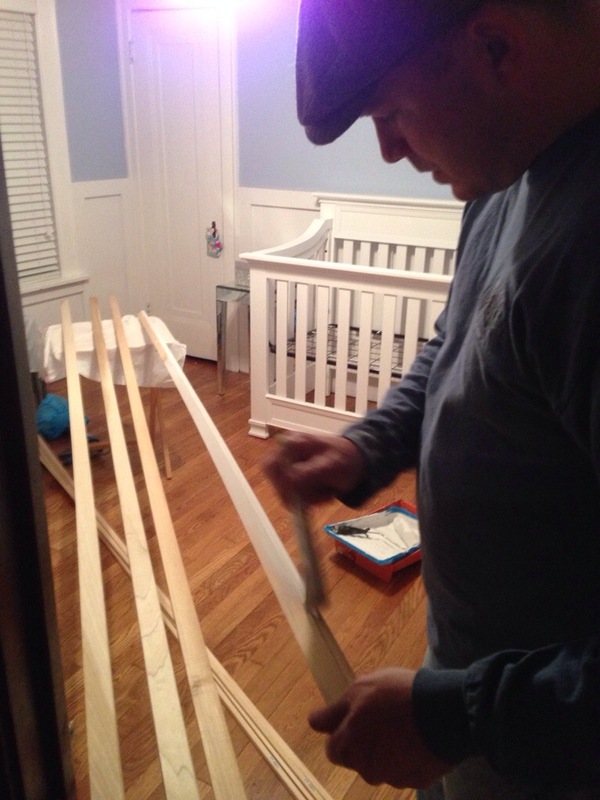 Since new wood soaks up a ton of paint, primer is essential in prepping it so you don’t get any wood showing through. We are lazy painters, so we don’t use painters tape 😉 We’re risky like that, I guess. We just used a roller for the bigger areas and went around with an angled brush to paint the parts along the top. After we finished priming all panels, we moved on to the finishing trim pieces. 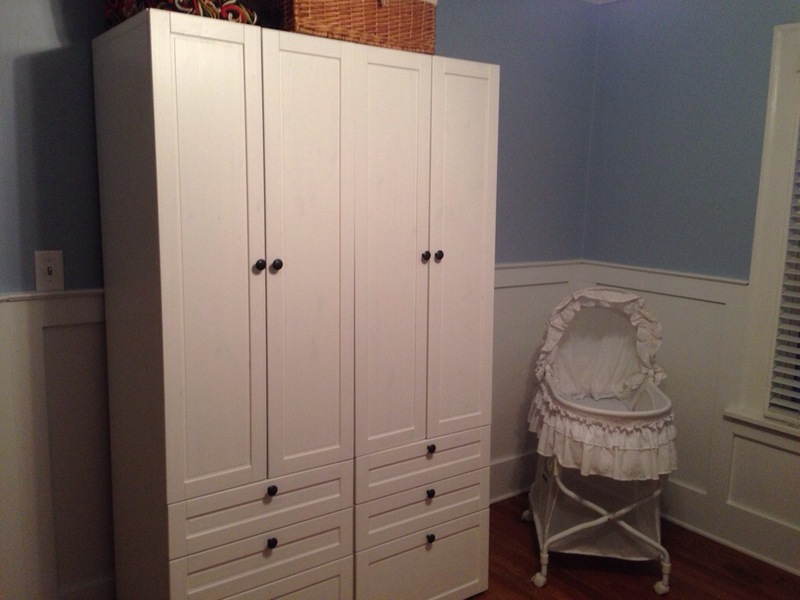 Hubby painted these with two coats of primer- after it dried (30-45 minutes) we nailed them into place. 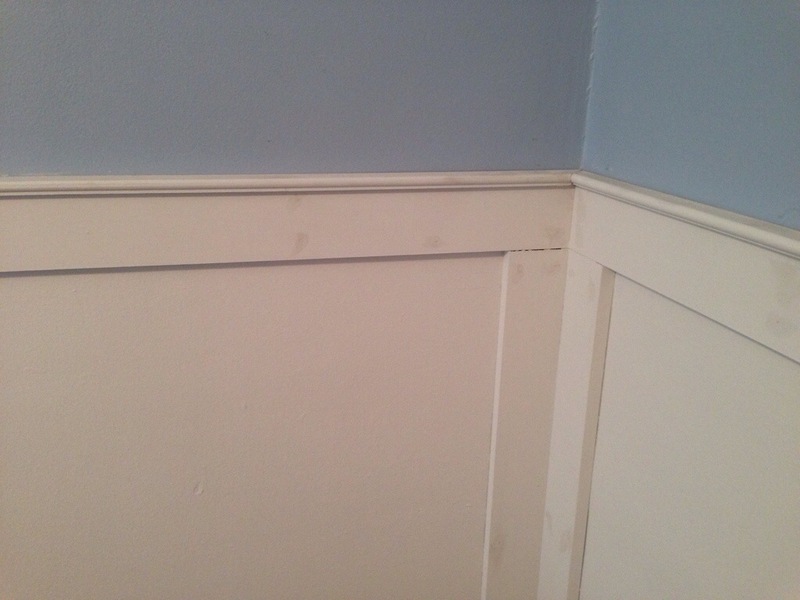 Before we painted, we used caulk to cover nail holes and other small imperfections. We also went around the inside of each square panel and caulked along the interior edges of the wood (you can see the caulk areas in the discolored spots above). Using some interior latex paint we had laying around (extra), hubby painted the room with one coat. We still have some work to do (i.e. 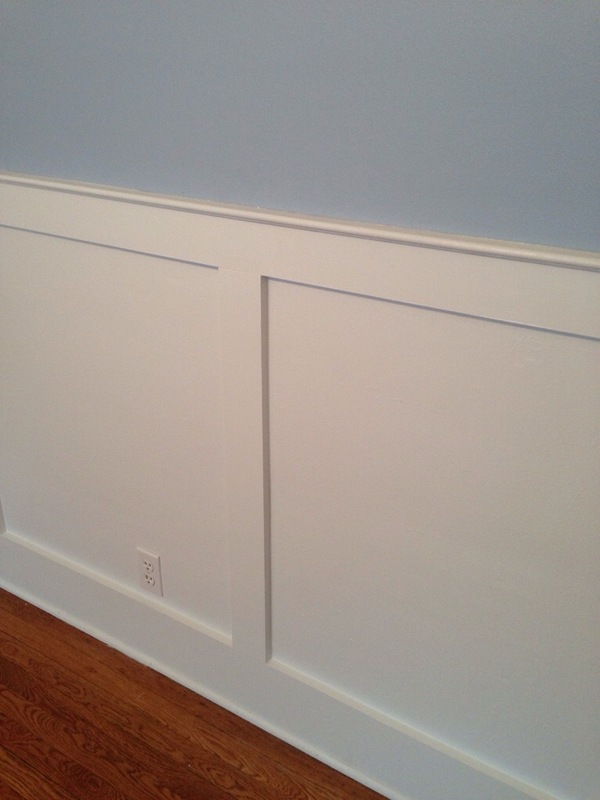 hang photos and other details) but you can see the paneling really well in the photos below. We plan on putting a rocking chair or lounger where the bassinet is now. We also plan to buy a navy blue area rug and some matching curtains. I’ll post separately on those details.